They hardly take up any space in your camera bag, yet they're often left behind. 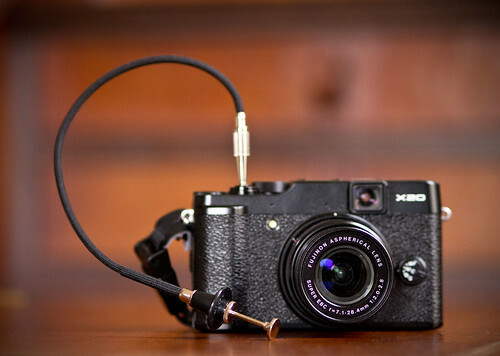 The cable release allows you to trip the shutter without jarring the camera, enabling you to capture sharper images. For my Fujifilm X20, I'm using the wonderful (and affordable) Nikon AR-3 Mechanical Release that's 12" long and runs $16.95. For all of my other cameras, I'm using the mandatory electronic releases. I recommend always having one release for one camera in your bag. For night photography, low-light mood shots, and product work, they really come in handy. The ability to create soft backgrounds is important for pros and serious enthusiasts. Some have shied away from micro four thirds cameras, such as the Olympus OM-D because its sensor is smaller than full frame or APS-C -- an important factor in creating soft backgrounds. But the lens you put on the camera can help with this cause. And some lenses do an admirable job of providing us with creamy bokeh, while still lightening the load on our shoulders. An excellent example is the Olympus M.Zuiko Digital ED 75mm f/1.8 ($899 and now available in black as well as silver). The Olympus 75mm has a quality that provides for high sharpness where the lens is focused, but falls off quickly creating a very appealing background. 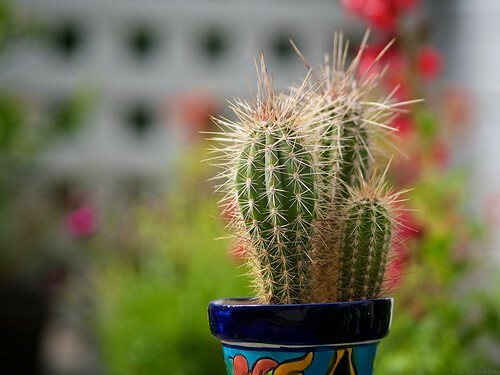 You can see from the image above, that fall off begins with the cactus in the back. Notice how smooth the green area is in the lower left of the frame. 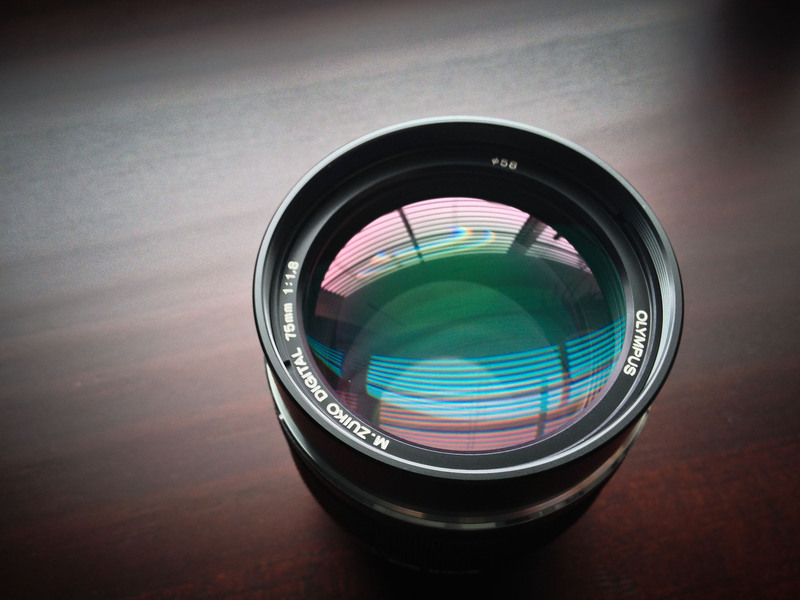 The all metal Olympus 75mm is compact (2.7 x 2.5") and weighs a very reasonable 10.7oz. Its silent focusing also makes it a good choice for video work. I'll show you how it works for portraits in a future post. How Often Do You Close Apps and Restart Your iPad? When our computers start acting doggie, we close down our apps and restart. Do you ever do that with your iPad? According to experts, it can help with misbehaving apps, but isn't necessary as a general maintenance procedure. 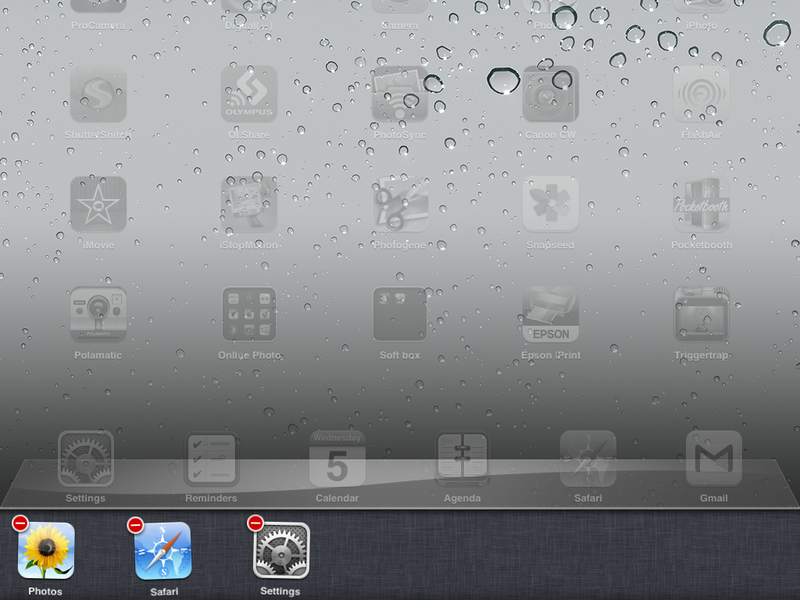 Closing apps on your iPad. Shutting down a misbehaving app is easy, First double-press the Home button, then tap and hold on any of the apps that appear at the bottom of the screen. They will start to wiggle and display a red "-" button in the upper left corner. Tap on the red "-" button to close an app. When you first do this, you might be surprised at how many apps you actually see on the task bar. Most of them are in a suspended state and not using resources. Once you've shut down any misbehaving apps, press the Home button once to stop the wiggling. Then press it again to return to normal working mode. Now hold down the Power button until you get the "slide to power off" message. Go ahead and power down. After a few seconds, press the power button again to restart the device. You've now essentially rebooted your iPad. Check your Settings to ensure you're connected to the correct WiFi network, then get back to work! Follow Up Note - A few readers have interpreted that I'm suggesting that you close down all of your apps to improve performance or to conserve battery power. That's not my intention. The apps you see on the task bar in the App Switcher are the apps that have been open, but not necessarily open at the moment. I usually only shut down apps that are misbehaving while I'm using them. And yes, I do restart afterwards. 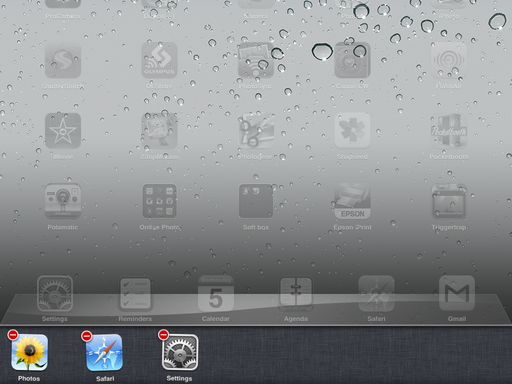 I am amazed at how many apps appear in the App Switcher when I do that. (I've apparently been doing a lot of stuff.) And I do notice improved performance when I remove a rogue app from the task bar and restart. The main point is sharing how to do so if needed. This week on The Digital Story: Aperture on your iPad and a Lightroom 5 preview with Chris Orwig. All of this and more on The Digital Story podcast. 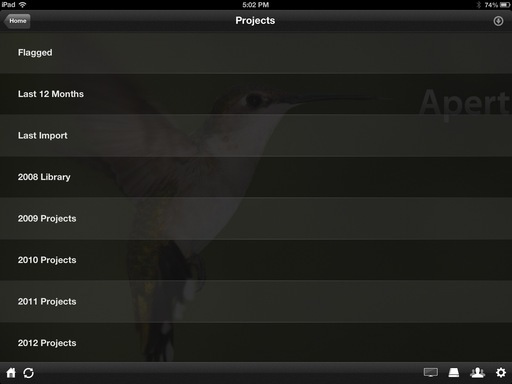 Story #1 - Serving Up Aperture on Your iPad - You can browse your entire Aperture library on an iPad, and even grab the photos you need, using the iOS app Plex ($4.99) and the free Plex Media Server for your Mac. This clever software provides a variety of streaming options for photos, music, and movies. But it can also peer directly into your Aperture or iPhoto library, and serve up organized content on to your iOS device. I talk about it in the first story this week. Story #2 - An Interview with Chris Orwig about Lightroom 5. I cornered Chris while working at lynda.com to discuss the upcoming release of Lightroom 5. Chris is a Lightroom expert, and had plenty to say about the new release. You can also download the podcast here (38 minutes). Or better yet, subscribe to the podcast in iTunes. You can support this podcast by purchasing the TDS iPhone App for only $2.99 from the Apple App Store. Can you shoot quality natural light portraits with a standard zoom lens? I recently put the Sigma 17-70mm f/ 2.8-4 Contemporary zoom to the test during a photo session to see what kind of results we could produce together. Because it is a general purpose zoom, I've been using the Sigma 17-70mm for a variety of tasks, including close up photography work that I wrote about in the post Macro Mode on Sigma's 17-70mm Enthusiast Zoom. The lens is also getting pretty good marks on the optical bench, such as this review at SLRGear.com. But natural light portrait photography is its own beast. 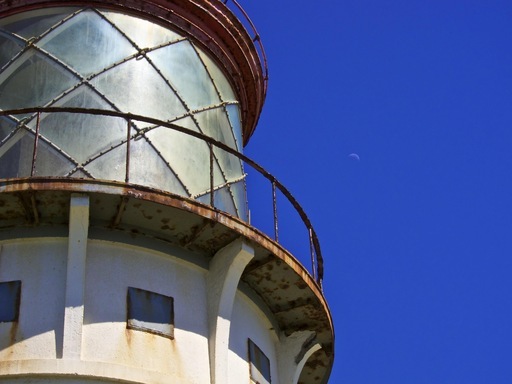 It tests an optic in different ways that outside in broad daylight. Sigma 17-70mm on Canon 60D, ISO 1600 for this existing light portrait. f/3.5 at 1/125th. Photo by Derrick Story. Click on image for larger version. One of the aspects of the lens that I found helpful for portrait photography was its relatively fast maximum aperture (f/2.8-f/4), especially for a standard zoom that costs $499. In this series of images, I used natural light in aperture priority mode, keeping the lens wide open. Its optical image stabilization allowed me to drop to longer shutter speeds if necessary. Sigma 17-70mm on Canon 60D, ISO 1600 for this existing light portrait. f/3.5 at 1/200th. Photo by Derrick Story. Click on image for larger version. Autofocusing was fast and accurate, even in this dimly lit environment. 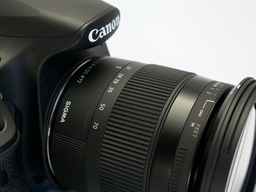 The lens balances well on the Canon 60D, making the combination very comfortable to hold, even on extended shoots. Already, after just a couple months of testing the Sigma, I have a lot of confidence in the shots it will help me produce. You can browse your entire Aperture library on an iPad, and even grab the photos you need, using the iOS app Plex ($4.99) and the free Plex Media Server for your Mac. This clever software provides a variety of streaming options for photos, music, and movies. But it can also peer directly into your Aperture or iPhoto library, and serve up organized content on to your iOS device. The setup for Plex is literally a short series of clicks. You install the iOS app on your iPad. 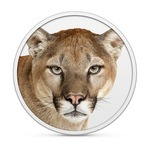 Download and launch the server on your Internet-connected Mac. 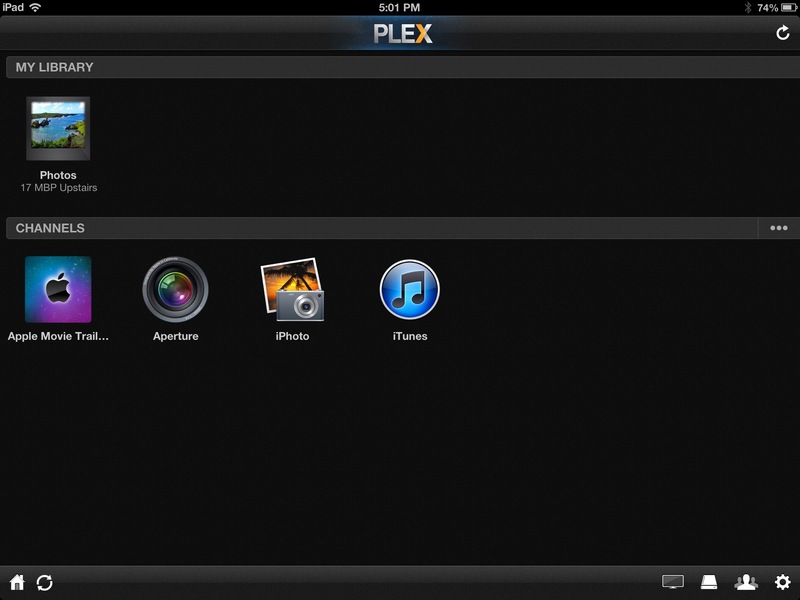 Then you create an account on myPlex that enables remote access. 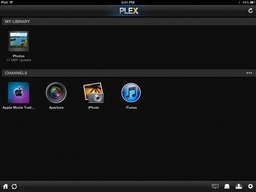 If you have Aperture or iPhoto loaded on the computer that's acting as the server, those channels are automatically added to your Plex library. 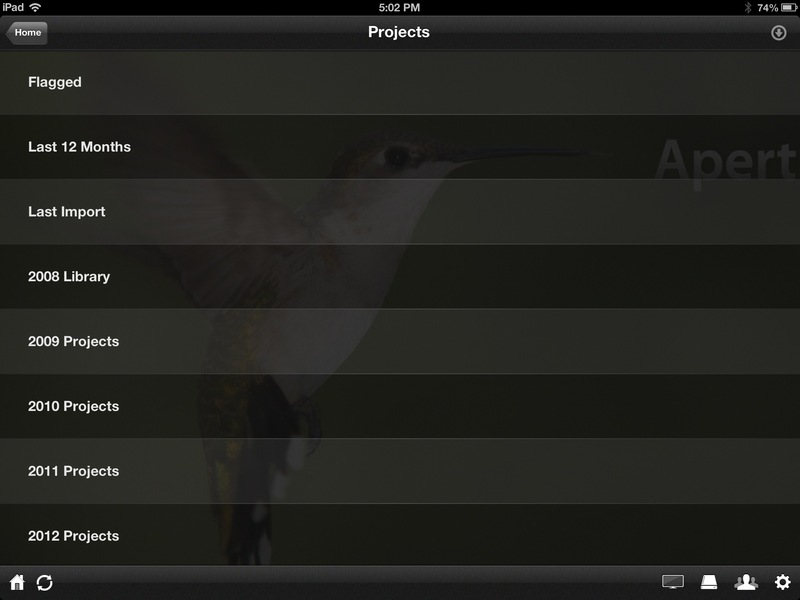 Once enabled, you can browse your Aperture library on your local area network, or even remotely via the Internet. When you find a picture you want to save to your iPad, simply take a screenshot of it while in full screen mode (press the Home and Power buttons at the same time). Because of the high resolution of the Retina display on an iPad 3 or 4, the captured image will be 2048 x 1536 pixels - more than enough for sharing on Flickr, Facebook, Twitter, and blogs. Plex is incredibly easy to use and performs quite well. It taps the preview files in your Aperture library. In my case, I have a older MacBook Pro laptop running at my studio with an archive Aperture library on it. If I need an image, let's say from 2010, I can browse the library on my iPad, capture the photo, and share as needed. Via this system, I have access to my Aperture library... anywhere. Plex + Aperture is quite amazing. Follow Up Note - Plex posted an update to the iOS app, v.3.2.1, that added a Save button in the upper right corner that allows you to save images from your Aperture library to your Camera Roll. 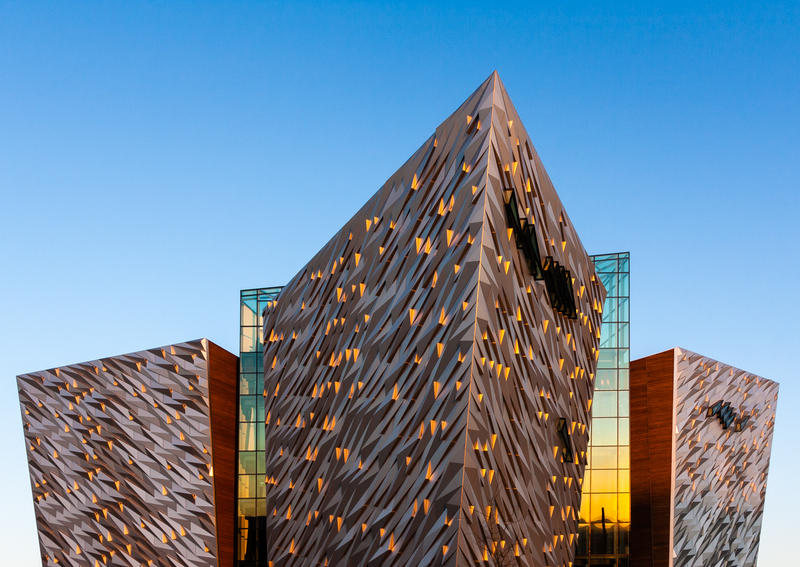 For the April 2013 Photo Assignment, TDS shooters captured the glory of manmade structures. See for yourself in our gallery, Architecture. And which one will be the SizzlPix Photo Assignment Pick of the Month? "It's a cracking new building with lots of lovely lines and materials," writes Matthew Jeanes. "It was my first time chasing the light. I was there at 4:30 and took this one at about 4:50 am. I love the reflection of the rising sun in the glass and the warm tones on the skin of the building." See all of the great images from this month's assignment by visiting the Architecture gallery page. The June 2013 assignment is "Stylish." Details can be found on the Member Participation page. Deadline is June, 2013. No limit on image size submitted. Please follow the instructions carefully for labeling the subject line of the email for your submission. It's easy to lose these in the pile of mail if not labeled correctly. For example, the subject line for this month's assignment should be: "Photo Assignment: June 2013." Also, if you can, please don't strip out the metadata. And feel free to add any IPTC data you wish (These fields in particular: Caption, Credit, Copyright, Byline), I use that for the caption info. Gallery posting is one month behind the deadline. So I'm posting April 2013 at the end of May., the May gallery will be posted at the end of June, and on and on.